Like most illnesses that severely affect cognitive functioning, dementia is a tragic, gut-wrenching condition. 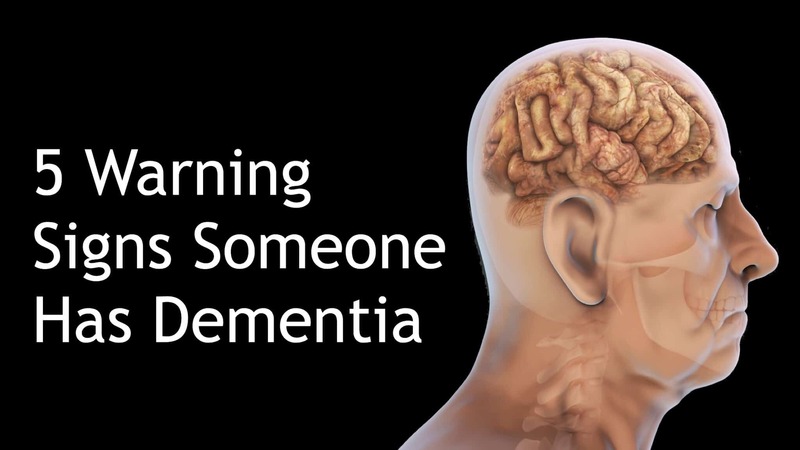 In this article, we’re going to discuss what dementia is (and is not), some warning signs of the condition, and methods of treatment. Per the Alzheimer’s Organization, dementia is “a general term for a decline in mental ability severe enough to interfere with daily life.” Loss of memory and Alzheimer’s – the most common form of dementia – are two examples. Dementia is, generally, a gradual decline in memory, thinking and reasoning skills. Dementia itself is not a specific disease. Rather, the term applies to a breadth of symptoms which may indicate the presence of a severe cognitive disorder. Due to the complex nature of the disorder, Dementia can only be diagnosed by a licensed medical doctor (usually a neurologist). As mentioned, Alzheimer’s disease is the most common form of dementia, accounting for 60 to 80 percent of all cases. Alzheimer’s is a fatal disorder that neutralizes brain cells and cognitive functionality. Sadly, individuals with Alzheimer’s disease often notice the changes in themselves; this makes it difficult to articulate what they’re experiencing to friends, family, and others. A stroke occurs when the blood supply to your brain is interrupted or reduced. This deprives your brain of oxygen and nutrients, which can cause your brain cells to die. A stroke may be caused by a blocked artery (ischemic stroke) or the leaking or bursting of a blood vessel (hemorrhagic stroke). Dementia is often incorrectly referred to as “senility” or “senile dementia,” which reflects the formerly widespread but incorrect belief that serious mental decline is a normal part of aging. Changes to memory often (not always) occurs as one ages. The primary difference between any “age-related” memory problems and dementia is the degree to which daily life is impacted. Everyone forgets something at some time or another, or experiences acute bouts of ‘brain fog.’ Many people have memory issues and trouble with thinking clearly- this does not mean that they have dementia. Given the intricacy of the topic at hand, we advise anyone who is or knows someone experiencing cognitive problems to seek medical advice. Some people with dementia experience sudden changes in their capacity to develop and follow a plan. Once simple tasks, such as keeping track of bank balances or following a recipe, for example, become much more complicated. It’s also common during the onset of dementia to experience increased problems with concentration. One of the more visible signs of dementia is a decreased ability to complete routine tasks. Perhaps the person is unable to navigate a familiar route or forgets about how to play a favorite game. Normally, executing something habitual is a deeply engrained neuronal activity; one is able to be completed “without thinking.” Any noticeable changes in someone’s ability to complete a common task requires attention. People with dementia often have problems following a conversation. They may cease interacting, forget about something they said (perhaps repeat themselves), or have no idea how to proceed. Vocabulary challenges are also common, such as the inability to find the correct word. When a person begins to experience the cognitive challenges that dementia brings, they may start to remove themselves from work or social activities. Part of this withdrawal may be attributed to personality changes, fearfulness, or denial. Regardless of the rationale, some dementia sufferers become progressively distant. Currently, there is no known cure for Alzheimer’s disease or any of the most progressive dementias. Drug treatments are available that may help relieve some of the symptoms, and there is social support for dementia patients and their families.